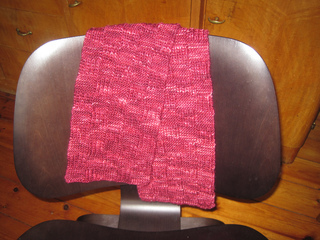 This unisex scarf has garter stitch squares alternating with the half patent stitch producing a lovely texture. It is not reversible, however, both sides are beautiful. The luxury yarn used for the scarf makes it a true fashion statement! The pattern has written as well as chart instructions. My mother taught me the stitch halvpatent - a stretchy rib pattern for sweaters. It seems the terminology for this stitch differs widely, even in Danish. The closest English terms I have been able to come up with is “half patent”, “half brioche” or “half fisherman’s stitch”. I also found out that my way of working it differs from the usual way to work the patent stitch. 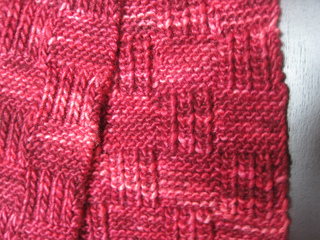 I knit one stitch below, thus avoiding yarn over. I much prefer this approach, it is faster and easier to work.